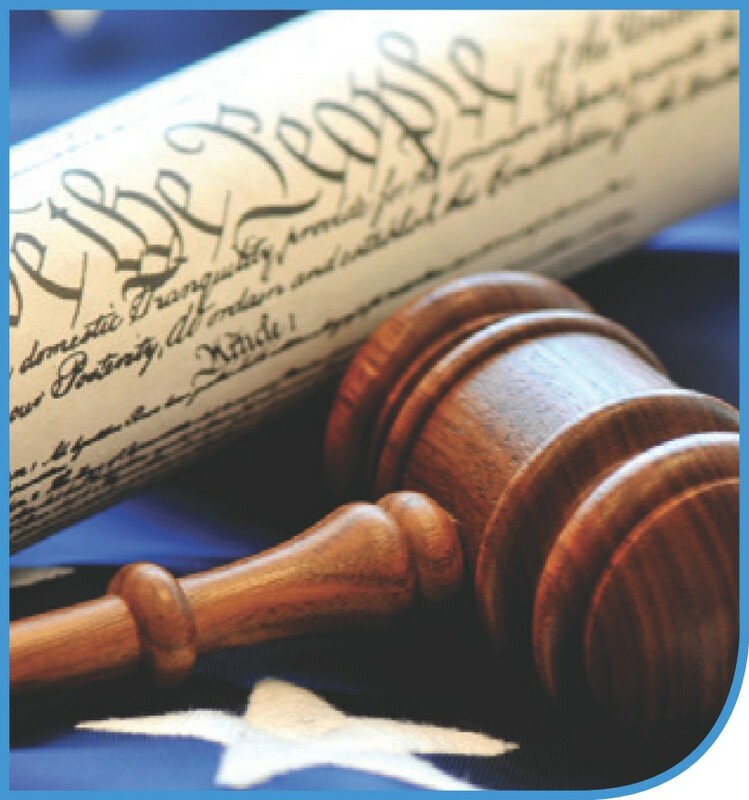 This course features a study of a variety of important issues that are based on provisions of the United States Constitution. The course will focus on the dual concepts of federalism and separation of powers that are codified in Articles 1-3 of the Constitution and in the 10th Amendment. We will examine the powers and role of the federal lawmaking authority under the commerce clause and other constitutional provisions. We will also examine the roles of the federal judiciary and executive branches. We will also focus on civil rights issues inherent in the Bill of Rights and in the reconstruction amendments, especially the due process and equal protection clauses. Finally, we will examine certain other important constitutional issues such as eminent domain and the supremacy and full faith and credit clauses. Identify the three branches of the United States government and their roles. Describe the checks and balances that have been established by the Constitution of the United States to ensure that no one branch becomes too powerful. Identify the role and authority of the judicial branch of the United States government. Apply the Constitutional limits placed on the judicial authority of the United States government. Identify the legislative authorities of the government of the United States under the commerce clause and other relevant constitutional grants of authority. Describe the limits placed on states’ authority that are based on federal power and the interest in nationwide uniformity. Identify the authorities vested in the President and executive branch of the United States, both in the areas of domestic and foreign policy. Determine whether a specific authority falls within the bailiwick of the legislative or executive branch of the United States government. Identify the different tests established by the U.S. Supreme Court in analyzing equal protection and due process violations. Apply equal protection and due process analysis to various situations. Describe the power of eminent domain and the restrictions placed on it by the U.S. Constitution. Identify the various freedoms guaranteed by the First Amendment. Apply the various tests and rules established by the Supreme Court to scenarios involving restrictions on freedoms guaranteed by the First Amendment.